A fun group activity for all ages. 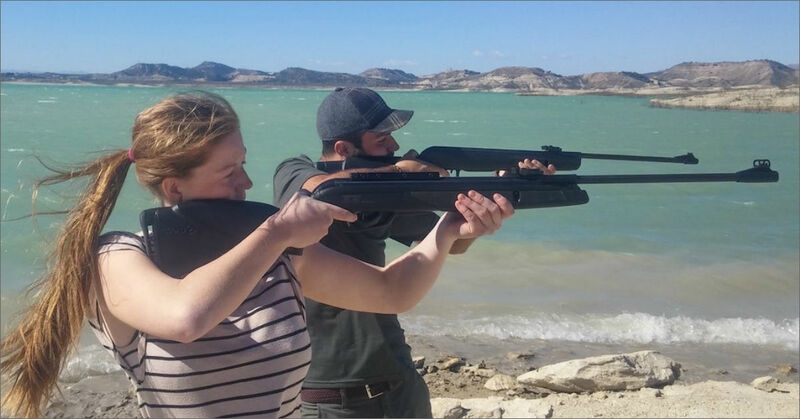 Shooting at cans and other targets, practice makes perfect, and our instructors will insure you learn to shoot safely and accurately. Younger children can be assisted by adults to load and hold the rifle. Are you wanting to take the ultimate challenge in precision & aim?! Then make sure you combine our Air Rifle Shooting & Archary. You can check out our Combo Package Here.